I'm looking at 45567 Ronnen on www.realestateone.com.com and would like some more information. This 4 bedroom 2 1/2 bath colonial has been totally renovated. The home sits on a large corner lot and the backyard is a summer Paradis. The beautiful deck and paver patio walk out to the built in pool, WOW! Once you enter the home you will walk in the the gourmet kitchen. This house has it all from the beautiful bathrooms. To the new and upgrade flooring throughout. Bring your fussiest buyer. The pool needs a new liner. Our Michigan real estate agents can answer all of your questions about 45567 Ronnen, Macomb MI 48044. Real Estate One, Max Broock Realtors, and J&J Realtors are part of the Real Estate One Family of Companies and dominate the Macomb, Michigan real estate market. 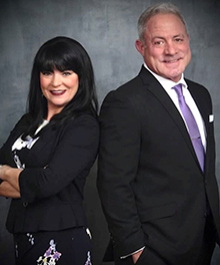 To sell or buy a home in Macomb, Michigan, contact our real estate agents as we know the Macomb, Michigan real estate market better than anyone with over 100 years of experience in Macomb, Michigan real estate for sale.